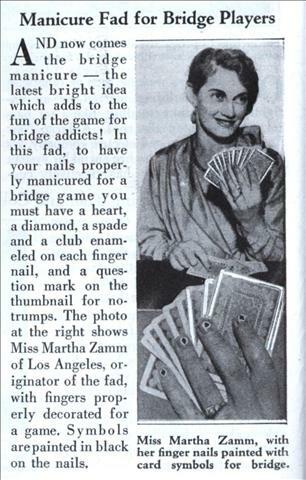 AND now comes the bridge manicure — the latest bright idea which adds to the fun of the game for bridge addicts! In this fad, to have your nails properly manicured for a bridge game you must have a heart, a diamond, a spade and a club enameled on each finger nail, and a question mark on the thumbnail for no-trumps. 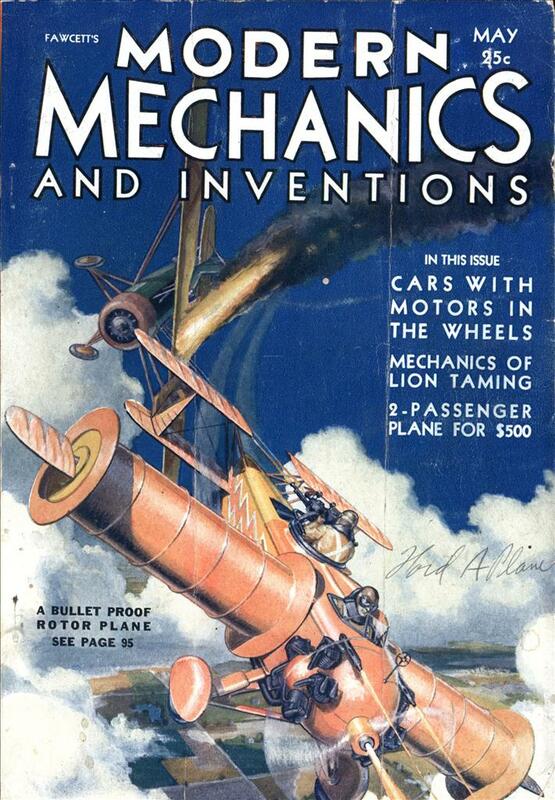 The photo at the right shows Miss Martha Zamm of Los Angeles, originator of the fad, with fingers properly decorated for a game. Symbols are painted in black on the nails. And all this time I thought it was the brainchild of the hip hop girls of the 90’s; shows what I know about manicures. Yeah I have fingernail clippers, that’s it for my nail grooming. Well, Tom, you’re probably judged more on your character, how you treat others, and the quality of your work than on the minute details of your superficial appearance. I wish we all were.